Norman: University of Oklahoma Press, 1999. Return to Bull Run The Campaign and Battle of Second Manassas, 607pp including index. Near fine condition. This comprehensively researched, well-written book represents the definitive account of Robert E. Lee's triumph over Union leader John Pope in the summer of 1862...Lee's strategic skills, and the capabilites of his principal subordinates James Longstreet and Stonewall Jackson, brought the confederates into the field of Second Manassas at the right places and times against a Union army that knew how to fight, but not yet how to win. . 1st. Softcover. Near Fine/Not Issued. 8vo - over 7¾" - 9¾" tall. Civil War. New York, NY: Grand Central Publishing, 2013. Grand Central: How a Train Station Transformed America, book and jacket in near fine condition, 303pp including index and about the author. A rich, illustrated - and entertaining -- history of the iconic Grand Central Terminal, from one of New York City's favorite writers, just in time to celebrate the train station's 100th fabulous anniversary. Featuring quirky anecdotes and behind-the-scenes information, this book will allow readers to peek into the secret and unseen areas of Grand Central -- from the tunnels, to the command center, to the hidden passageways. . 1st. Hard Cover. Near Fine/Near Fine. 8vo - over 7¾" - 9¾" tall. Railroads. Dulles, VA: Potomac Books, 2007. Near fine condition, no jacket issued. 613 pp including index and about the author. Parshall and Tully examine the battle in detail and effortlessly place it within the context of the Imperial Navys doctrine and technology. With a foreword by leading World War II naval historian John Lundstrom, Shattered Sword is an indispensable part of any military buffs library. Shattered Sword is the winner of the 2005 John Lyman Book Award for the "Best Book in U.S. 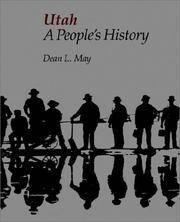 Naval History" and was cited by Proceedings as one of its "Notable Naval Books" for 2005.. 1st Paperback. Softcover. Near Fine. 4to - over 9¾" - 12" tall. Miltary. San Francisco: Ignatius Press, 2001. The Letter of Saint Paul to the Romans , near fine condition, study guide,commentary,notes and study questions. Highlighting throughout, scarce ink markings. 51pp including books of the bible, 6 pages for Notes. . 2nd. Softcover. Near Fine/Not Issued. 8vo - over 7¾" - 9¾" tall. Regional. Columbia, SC: University of South Carolina Press, 2010. Learning the Valley: Excursions into the Shenandoah Valley (Non Series), 134pp including index, In Learning the Valley, award-winning nature writer John Leland guides readers through the natural and human history of the Shenandoah Valley in twenty-five short essays on topics ranging from poison ivy and maple syrup to Stonewall Jackson and spelunking. Undergirding this dynamic narrative of place and time is a tale of self-discovery and relationship building as Leland's excursions into the valley lead him to a new awareness of himself and strengthen his bond with his young son, Edward. Spanning some two hundred miles through the Blue Ridge and Allegheny mountains in western Virginia, the Shenandoah Valley is the prehistoric home of mastodons and giants sloths, the site of a storied Civil War campaign, and now a popular destination for outdoor adventures to be had beneath the oaks, chestnuts, hickories, maples, and centuries-old cedars.. 1st. Hard Cover. Near Fine/Near Fine. 8vo - over 7¾" - 9¾" tall. Regional. New York: Knopf, 2006. Book and jacket in near finde condition, 292pp including index. 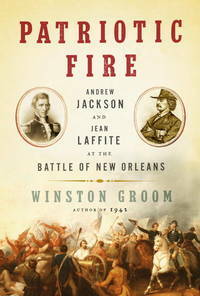 A fast-paced, enthralling retelling of one of the greatest battles fought on the North American continent, and of the two men whoagainst all expectations and oddsjoined forces to repel the British invasion of New Orleans in December 1814. . 1st. Hard Cover. Near Fine/Near Fine. 4to - over 9¾" - 12" tall. American History/Civil War. Charlottesville, VA: University of Virginia Press, 2007. 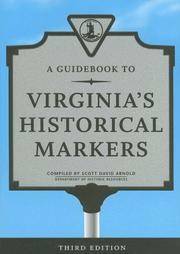 Book is in Near fine condition, 366pp including index, Including nearly nine hundred new and replacement markers that have been installed along the commonwealth's roadways since the last edition was published in 1994, this third edition of A Guidebook to Virginia's Historical Markers brings together and updates the texts of more than 1,850 official state historical markers placed along Virginia's highways since 1927.Divided for the first time into six geographic-cultural regions, this edition contains maps and three individual indexes that assist the reader in locating markers by title, number, or subject matter. The subject index covers African American, Native American, and women's history; maps out key places in such areas as European exploration and settlement, industry and agriculture, and transportation and communication; and canvasses the American Revolution, the War of 1812, the Civil War. . 1st. Softcover. Near Fine/Not Issued. 8vo - over 7¾" - 9¾" tall. Regional. Raleigh, NC: Looking Glass Productions, Inc., 2011. The Last Days of Black Beard the Pirate: Within Every Legend Lies a Grain of Truth.239 pp including index. Rare near fine condition book, no jacket issued. Beautifully written about Black Beard the Pirate. Maps of The Colony of North Carolina on glossy stock paper. Signed by Author. . By Author. 2nd. Softcover. Near Fine/Not Issued. 4to - over 9¾" - 12" tall. Maritime. Salt Lake City: University of Utah Press, 2002. Book is in very good condition, paperback/softcover, 210pp including index. No markings on pages.. 2nd. Soft Cover. Very Good/Not Issued. 4to - over 9¾" - 12" tall. Religion. Chantilly, VA: The Teaching Company, 2009. The Rise and Fall of the British Empire Pt 1 of 3, 207pp, Part 1 includes 12 lectures starting with Lecture 1: The Sun Never Set ending with Lecture 12: Early African Colonies. This course traces the development of mercantilist,imperial, and free-trade ideologies that motivated the empire; the sources of economic prosperity that fueled the empire; and the changing cultural manifestations, both popular and elite, of the empire as it evolved. NO cassette included. . 1st. Softcover. Near Fine/Not Issued. 8vo - over 7¾" - 9¾" tall. World History. USA: Arcadia Publishing, 2009. Book in near fine condition,127pp. Softcover/Paperback, black and white illustrations on glossy stock paper. In Virginia City and its Comstock Lode, miners worked one of the richest deposits of gold and silver ever found. Many places claim that title, but the precious metals retrieved between 1859 and 1880, with an equivalent value today in the billions of dollars, played an unprecedented role in industrial history. With cutting-edge technology, Comstock engineers shaped mining throughout the world for the next 50 years. 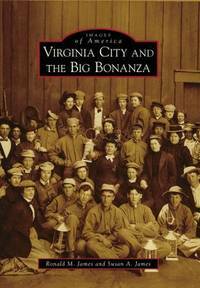 Virginia City's wealth propelled several people to Congress and others into the nation's highest society. At the same time, those who settled in the mining district built a civilized, sophisticated place. Drawing on former glories, the popular television series Bonanza perpetuated the legend, capturing international audiences with 14 seasons of programs. As one of the nation's largest historic landmarks, the Comstock continues to welcome millions of visitors.. 1st. Softcover. Near Fine/Not Issued. 8vo - over 7¾" - 9¾" tall. Regional. Grand Canyon, AZ: Grand Canyon Association, 2007. Near fine condition, b&w illustrations throughout, 344pp including appendix, This new edition of one of the earliest accounts of running the Green and Colorado Rivers contains the original text and photographs, appearing as they did in the first edition of the book. All of the characters and cataracts are here, as the Kolb brothers persevered through multiple mishaps and fickle weather during their remarkable journey. 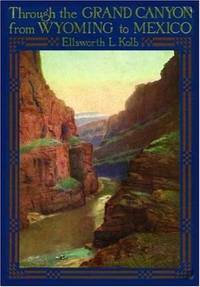 Their story is one of the classic adventure tales of the American West.. 2nd. Softcover. Near Fine/Not Issued. 8vo - over 7¾" - 9¾" tall. Regional. Chantilly, VA: The Teaching Company, 2009. The Rise and Fall of the British Empire Pt 2 of 3. Part 2 starts with Lecture 13: China and the Opium Wars and ends with Lecture 24: Varsailles and Disillusionment. It considers the continuing legacies of the British Empire in contemporary Britian, the United States, and the rest of the world. NO cassette included. No markings or highlighter. . 1st. Softcover. Near Fine/Not Issued. 8vo - over 7¾" - 9¾" tall. World History. Chantilly, VA: The Teaching Company, 2009. The Rise and Fall of the British Empire Pt 3 of 3, 208pp including bibliography, Part 3 starts with Lecture 25: Ireland Divided and ends with Lecture 36: Epitaph and Legacy. No markings or highlighter. . 1st. Softcover. Near Fine/Not Issued. 8vo - over 7¾" - 9¾" tall. World History. Gettysburg, PA: Stan Clark Military Books, 1994. Bayonet! Forward My Civil War Reminiscences 289pp inlcuding index. . 2nd. Hard Cover. Near Fine/No Jacket. 8vo - over 7¾" - 9¾" tall. Civil War. Sarasota, FL, U.S.A.: Pineapple Press, Incorporated, 2005. Near fine condition, no jacket issued, softcover/paperback, 370pp including index. Discover Florida, with its unique geography and exciting historyfrom ancient gold to modern real estate speculationby journeying along its highways. 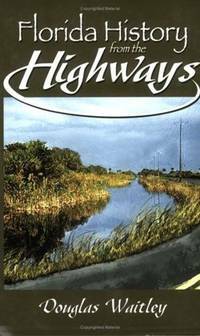 Beginning with a chronology and succinct account of Florida's spectacular development, then an account of the rise of the major cities, Florida History from the Highways takes you throughout the state, pointing out the fascinating events that occurred at locations along the way. You'll travel through changing times and landscapes and emerge filled with new appreciation for what has made Florida the colorful place it is today.. 1st. Softcover. Near Fine/Not Issued. 64mo - up to 3" tall. Regional. Hong Kong: Sotheby's, 1996. Sotheby's: Fine Chinese Ceramics Works of Art and Jade , 707 lot pieces, beautiful photographs on glossy stock paper, some writing throughout showing price in USD. 18th century rare ceramics and jade pieces. . 1st. Softcover. Very Good/Not Issued. 4to - over 9¾" - 12" tall. Antiques/Collecting. Charolottesville, VA: University of Virginia Press, 1990. 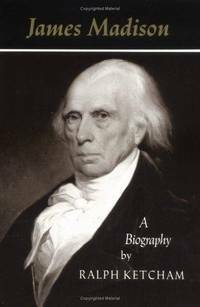 James Madison: A Biography, brand new in shrinkwrap. The best one volume biography of Madisons life, Ketchams biography not only traces Madisons career, it gives readers a sense of the man. As Madison said of his early years in Virginia under the study of Donald Robertson, who introduced him to thinkers like Montaigne and Montesquieu, "all that I have been in life I owe largely to that man." It also captures a side of Madison that is less rarely on display (including a portrait of the beautiful Dolley Madison). 1st. Softcover. New/No Jacket. 4to - over 9¾" - 12" tall. American History. Hong Kong: Sotheby's, 1991. Sotheby's Fine Chinese Ceramics Hong Kong Tuesday, 29th October, 1991, 307 lots, beautiful photographs of lots on glossy stock paper, some markings on pages where prices have been written in USD. . 1st. Softcover. Very Good/Not Issued. 4to - over 9¾" - 12" tall. Antiques/Collecting. Chantilly, VA: The Teaching Company, 2009. The Rise and Fall of the British Empire, 134pp including bibliography, course guidebook Taught by: Professor Patrick N. Allitt from Emory University. . 1st. Softcover. Near Fine/Not Issued. 12mo - over 6¾" - 7¾" tall. World History.